For brackets. #7 x 3/4? & 1-1/4?. Visual-pack. Designed to attach National model No. 211 brackets to walls and shelves. 6 each No. 7 x 1-1/2" and 6 each No. 7 x 1/2" per pack. Visual-pack. Designed for mounting National's #152 brackets. Phillips truss screws, 4 each of 7 x 1/2 and 7 x 1-1/2 inch. Visual-pack. Designed for mounting National's #152 brackets. Phillips truss screws, 4 each of 7 x 1/2 and 7 x 1-1/2 inch. Visual-pack. Designed to attach National model No. 211 brackets to walls and shelves. 6 each No. 7 x 1-1/2" and 6 each No. 7 x 1/2" per pack. Visual-pack. Screws are 1-1/2" long with a #8 body and #6 head. 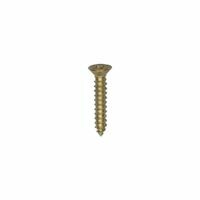 Screw pack for heavyweight wall standard, (14) 2-1/2" Screws. Screws are 1-1/2" long with a #8 body and #6 head. Zinc clad for shelf and rod brackets. Contains: 2 each 1.5" x #10 screws for mounting bracket to wall and 2 each .75" x #8 screws for mounting shelf to bracket. Phillips head Screws. National Hardware Screw, Series: V157S, NO 4 Screw, 5/8 in Length, Flat Head, Steel, Brass Mounts 2 brackets and 1 pole. Caps cover mounting screws. Carded. 5/8" x #4 screws. Visual-pack. 5/8" x #4 screws. Visual-pack. For use with 255/233 zinc, 255 galvanized and 255 almond. Toggle bolts for installing ShelfTrack Hang Track and Standards into hollow walls, drywall/plaster. Contains: Five 3/16" x 3" hollow wall anchors. Screws and anchors for installing ShelfTrack Hang Track and Standards into wall studs or concrete. Contains: Ten #12 x 2" pan head screws with anchors. 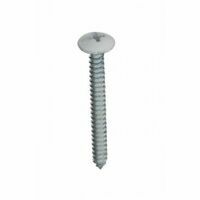 National Hardware Screw, Series: V157S, NO 4 Screw, 5/8 in Length, Flat Head, Steel, White For use with 255/233 zinc, 255 galvanized and 255 almond.